The kids’ birthday parties at Liberty Lanes will make the next birthday party in your family an epic event. Kids love to bowl at Liberty Lanes, no matter what their age. We offer kid-sized bowling shoes, lightweight balls, bumpers and food that kids love. 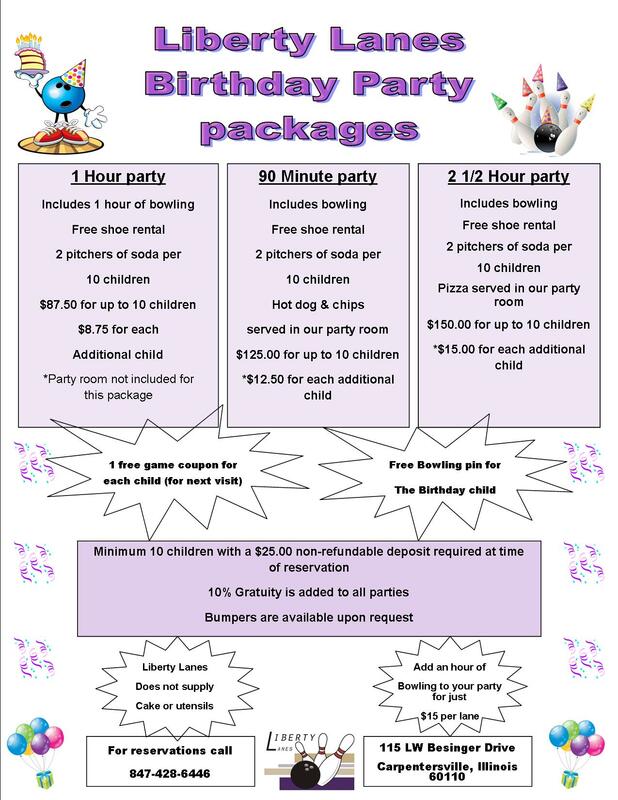 We have kids’ birthday party packages to make planning easy or you can talk to one of our birthday party planning specialists to customize your own experience – call the center at 847-428-6446. Our staff will be glad to help you. Parents and kids agree that kids’ birthday parties at Liberty Lanes are the best time ever! Bowling at Liberty Lanes is the perfect choice for your Group Party! Its fun and anyone can do it! Its a great way to get people involved with and excited about your group! Generally held weekends. No hassle planning. We can hold group parties for groups of 20 or more! Bowling is the perfect choice for your fundraiser! It's fun and anyone can do it! Its a great way to get people involved with and excited about your group! We host some of the area’s largest scotch doubles fund raising events. Generally held weekends. No hassle planning. We can hold fund raisers for groups with 40 people to over 150! Dates fill up fast, so call early to reserve your spot! If you’re looking for team-building activities to bring your group together, events at Liberty Lanes offer something special! Liberty Lanes offers a sports bar, food, and bowling center ideal for your next team-building event, providing many options for a fun and competitive way for your team to bond. Use our meeting room to talk about goals, review projects, and other business-related topics, then hit the lanes, and even the bar for some competitive fun and team-building activities! 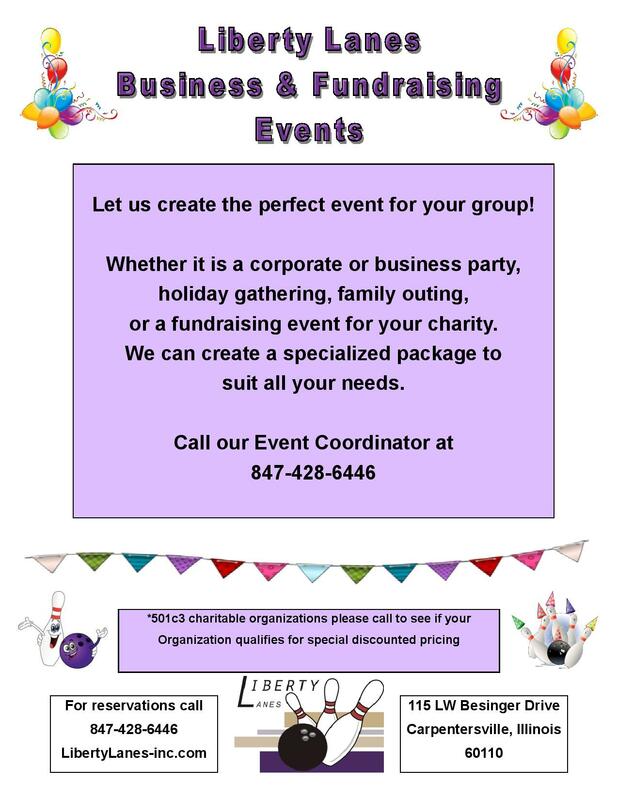 Here’s a sample of a team building packages at Liberty Lanes. We can also customize a package to fit your needs. Talk to our staff about how Liberty Lanes can help you organize a wonderfully creative way of building alliances within your organization or click the button below to access the form to get started.